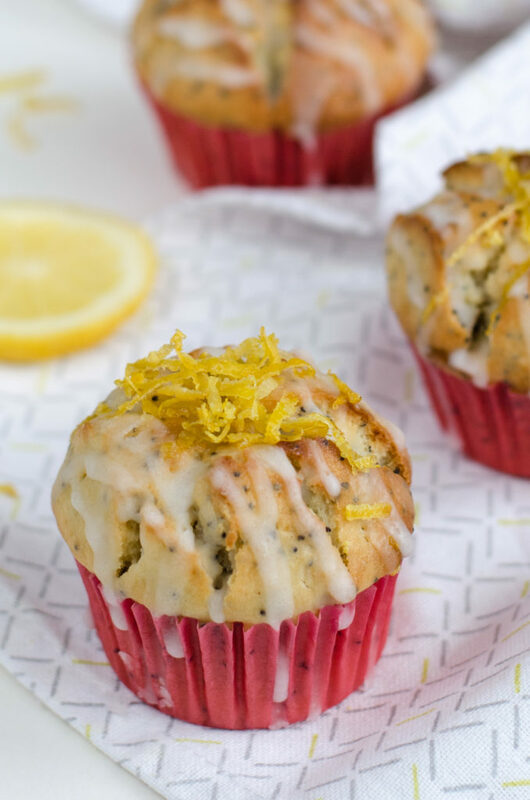 Dear friends, recently I have finished my recipe for the best Lemon Poppy Seed Muffins, where a major dose of butter is replaced by greek yogurt. Thanks to the greek yogurt, these muffins stay moist and soft at least for 3 days. 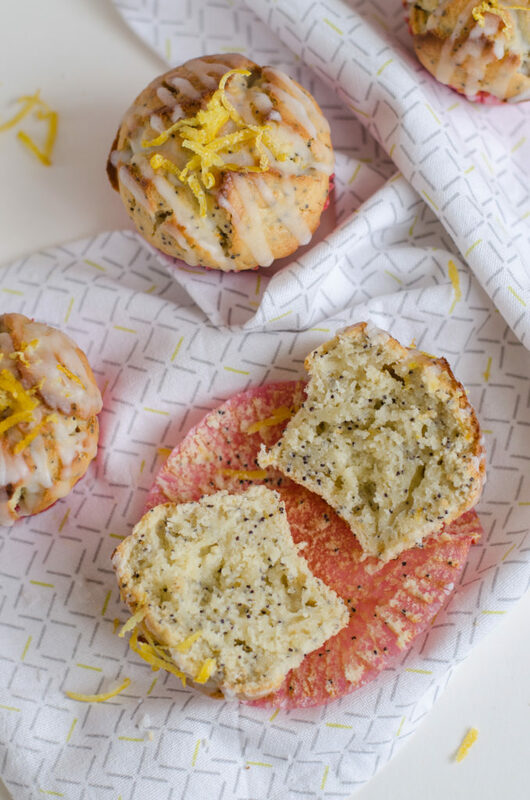 I can now say that I have never tasted better lemon poppy seed muffins! Nowhere. 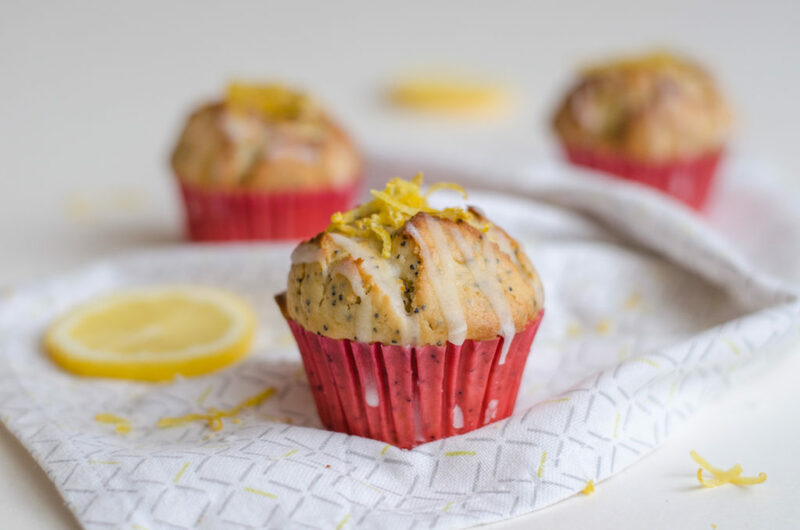 I did these Lemon Poppy Seed Muffins for few events this spring – last time for my colleagues at the office for my birthday. And people loved them! I love to bake with lemon zest and especially the smell when you take out the cakes/muffins from the oven! But it is very important that you use bio lemons (lemons not treated chemically). I was never a fan of sugar icing, but I think the time has come to change this. 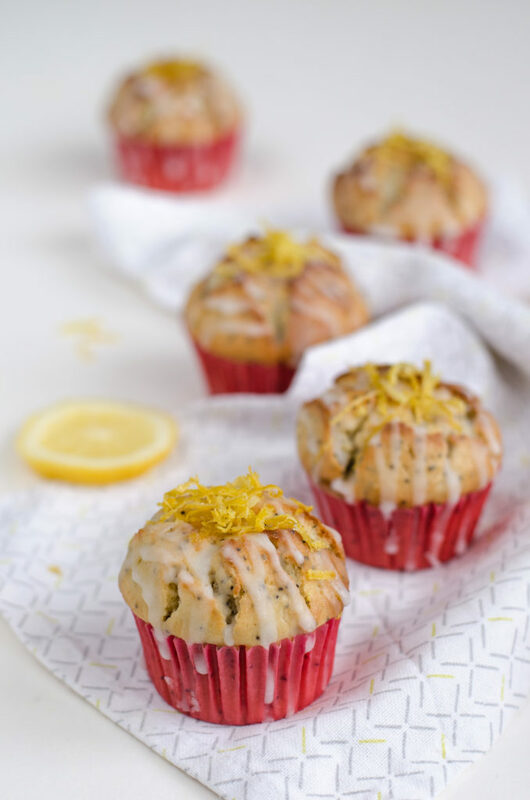 The lemon-sugar icing and some lemon zest on top on these muffins brings them to another level. I did it more fluid because I do not like the thick broken pieces that fall off later. The combination of sweet and acid flavors drives me crazy! You too? Then do not hesitate and try these muffins! Preheat the oven to 220°C and line the baking form for muffins with muffin cups. Sift the flour with baking powder and baking soda, set aside. In a large bowl, mix together the eggs with sugar until smooth and fluffy, add the melted butter, vanilla essence, yoghurt, lemon juice and zest. Fold in the flour mixture and then add the poppy seeds. Bake in the preheated oven for 5 minutes at 220°C and then lower the heat to 190°C and bake for another 15 minutes, doing the toothpick test before taking it out from the oven. Leave them cool a bit. Zest the last bio lemon and put the zest aside. Juice the lemon and use 2-4 spoons of the lemon juice to mix with the sugar. 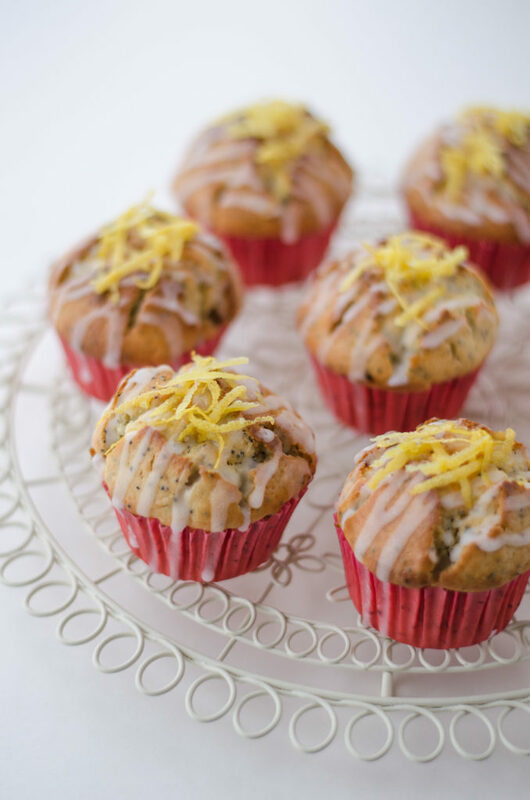 Decorate each muffin with the frosting, top with a bit of the lemon zest. Those look so good it is like torture not to be able to eat them!